LONDON -- An al-Qaeda-inspired extremist was sentenced to life without parole Wednesday for hacking a British soldier to death on a London street in front of horrified passers-by. 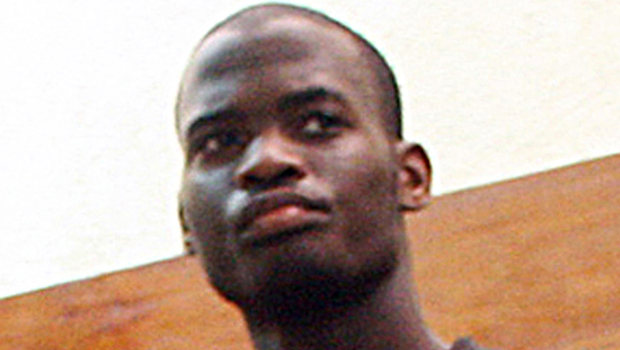 Images of Michael Adebolajo, 29, holding a butcher knife and cleaver with bloodied hands in the moments after the May 22 killing of Lee Rigby shocked people around the world and sparked fears of Islamist terrorism in Britain. The self-described "soldier of Allah" was sentenced at Central Criminal Court along with his accomplice, 22-year-old Michael Adebowale, who received a minimum 45-year sentence. The day ended in drama when both men were pinned to the ground and led out of the courtroom after scuffling with guards and shouting "Allah Akbar" - "God is great" - at the judge moments before their sentences were read out. Outside the court, protesters from two far-right groups erected gallows and demanded capital punishment for the two men. Judge Nigel Sweeney said the pair's barbaric actions were "sickening and pitiless," and that Adebolajo had no hope of rehabilitation. The pair was convicted in December of murdering Rigby, a 25-year-old fusilier, who was struck by a car and then repeatedly stabbed with knives. Adebowale attacked his torso, while Adebolajo attempted to cut off the soldier's head with a cleaver. In his testimony, Adebolajo told the court that he and Adebowale had decided to kill a British soldier as revenge for attacks on Muslims abroad. The inflamed fears of Islamic extremist terrorism in the country.